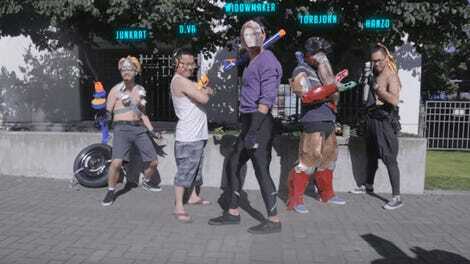 Hey look, it’s the guy from Hotline Miami! Great outfit, huh? 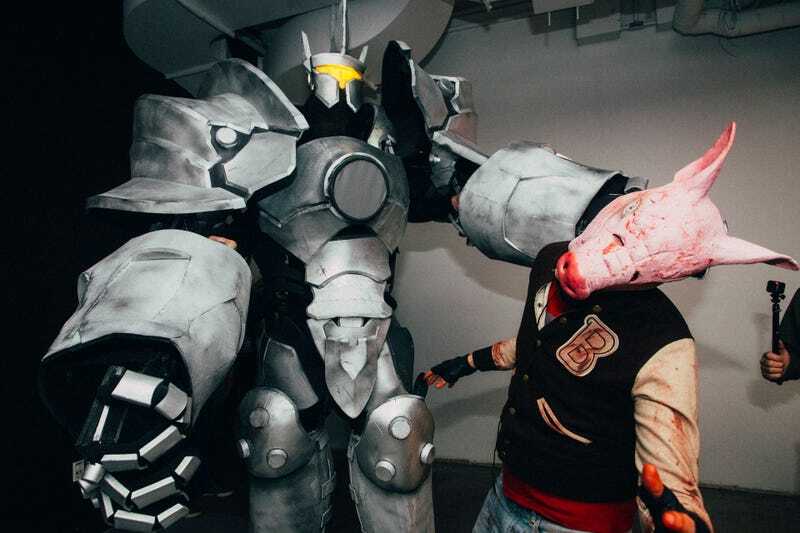 But what probably actually drew your eye in the above shot is another awesome, massive Reinhardt outfit, which stole the show at our recent io9/Kotaku Cosplay Ball. 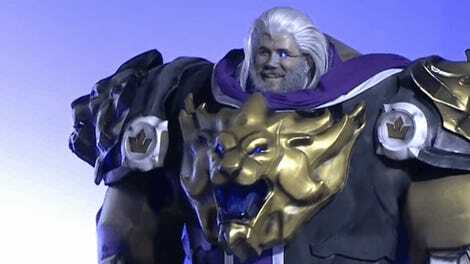 Not that there wasn’t other terrific Overwatch cosplay, because of course there was. We had a Zarya in her Siberan Front legendary skin, a Hanzo in his Okami skin and a McCree. The man in the big suit is Thomas DePetrillo of Extreme Costumes. We didn’t get the names of the others, but, if you know, please let us know.